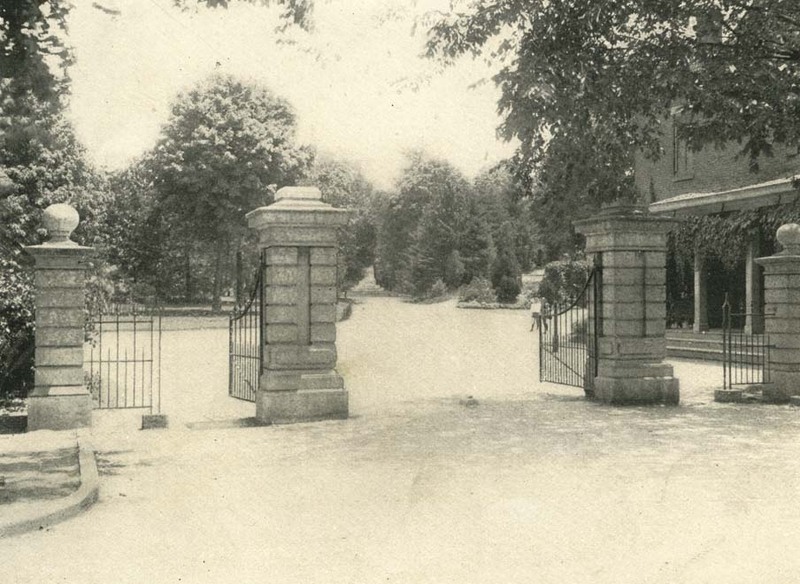 This year, Schiller Park in German Village turns 150 years old. Over the last century-and-a half, the park has evolved alongside the city. 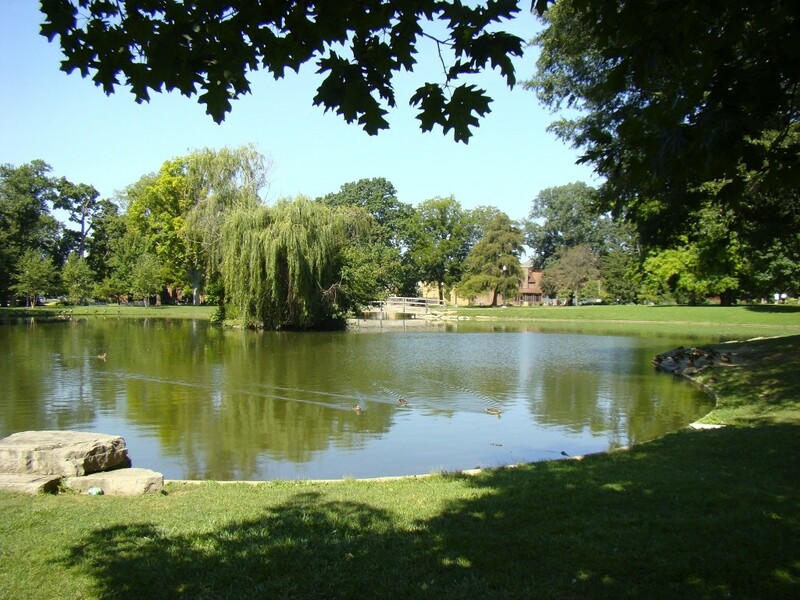 From its early days as a German immigrant gathering place to a failed zoo, through periods of neglect and revival, to today’s German Village gem, Schiller Park has long played an important role in Columbus’ culture. For this year’s milestone, Friends of Schiller Park — a committee of the German Village Society — has a couple of birthday celebrations in store. Organized by cartoonist and German Village resident Jeff Stahler, the art exhibition opens at the society’s Meeting Haus this weekend, with an artists’ reception from 2 to 4 p.m. Sunday, April 23. Schiller Park Art: Celebrating 150 Years features 50 representations of the park and the surrounding area by more than 35 Ohio artists. While all the artists live in the Buckeye State, only a few of them are here in Columbus, including Stahler, who has three pieces in the exhibition. 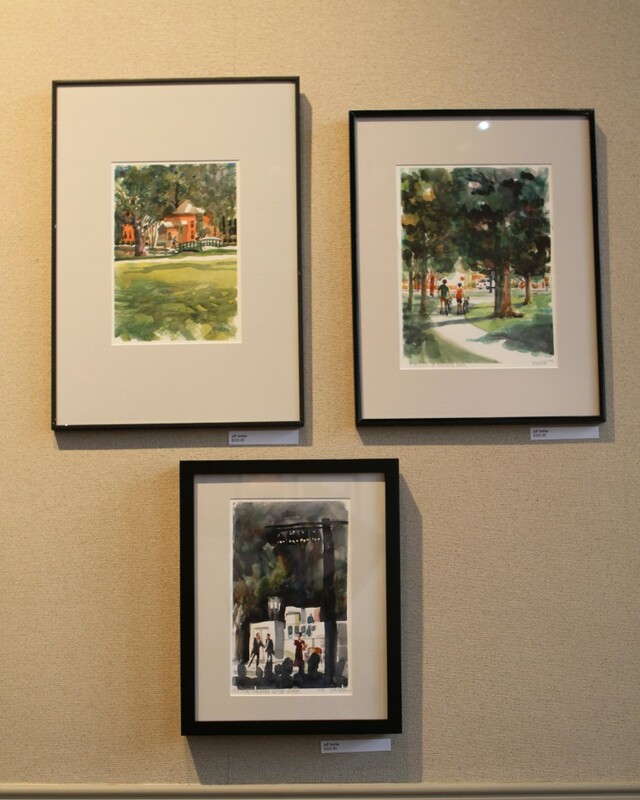 When planning the show, Stahler organized a couple of events for artists to paint in the park, collaborating with the Central Ohio Watercolor Society, Central Ohio Plein Air and the Ohio Plein Air Society. Painters traveled to Schiller to paint en plein air—“in plain air,” or outdoors — from Cleveland, Ashland and other Ohio cities, many for their first visit. By Columbus artist Jeff Stahler. “The one on the bottom was done last summer during Actors’ Theater’s Shakespeare in the Park. I actually sat there and painted in the dark, had a little book light on an easel in the back,” Stahler says. 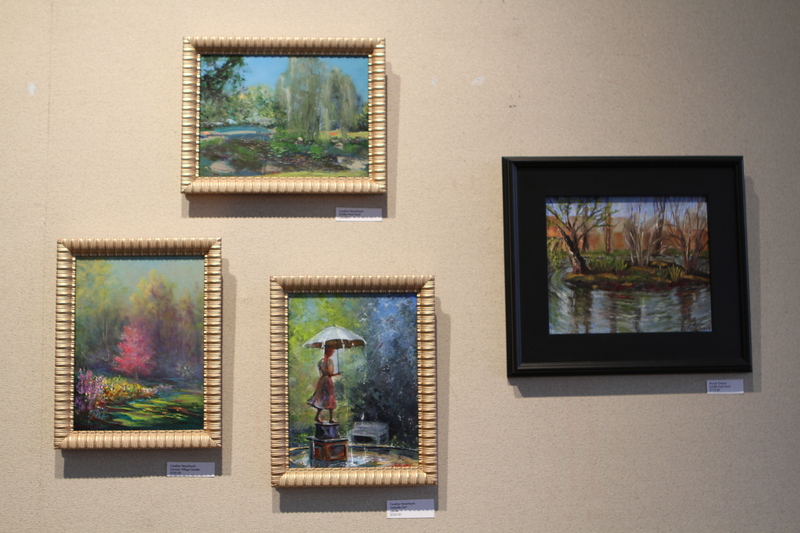 Many of the pieces in the exhibition are oil paintings in various sizes, but the show also includes some other mediums. 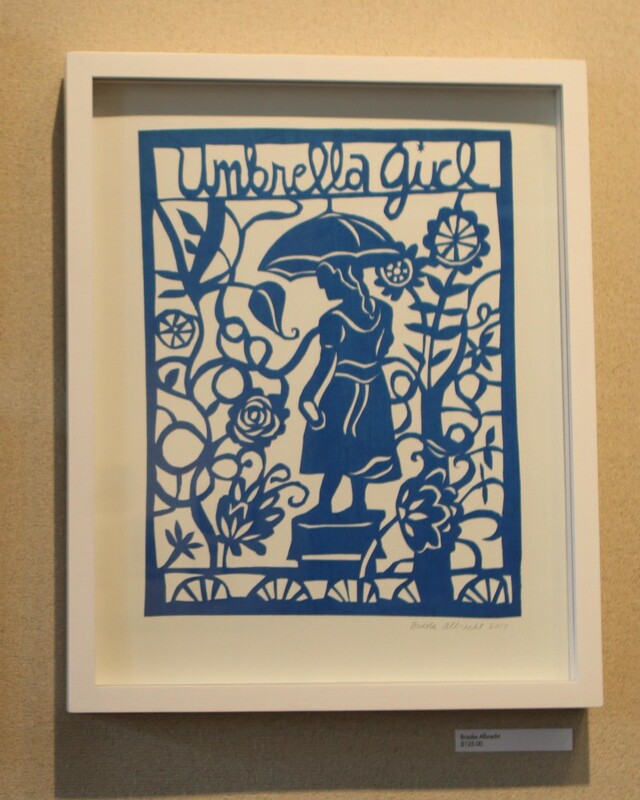 One artwork created en plein air is a cut-paper piece featuring the iconic Umbrella Girl statue. 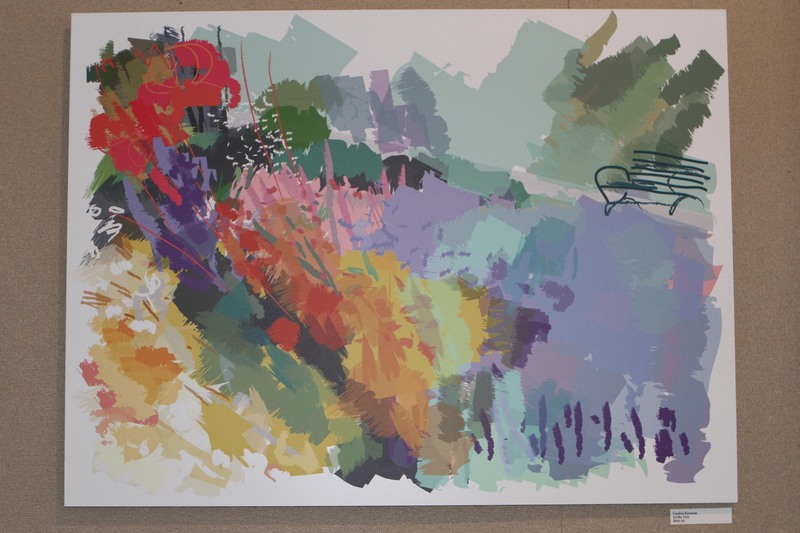 Another piece, created by a neighborhood resident, is a brightly colored abstract screen print on aluminum. A percentage of the art sales will go to the artists, with the rest going toward park maintenance and improvements. The exhibition is on view through May 20. Friends of Schiller Park plans to release a limited-edition coffee-table book highlighting the park’s 150-year history in August. Over the past couple of years, the group—which has about two dozen regular members and an email list of 300 people—has worked with local historians to dig up as much park history as possible. Moore then used the research to write a short piece about the park’s history for the book. The park’s history goes back to the early 1800s, when Franklin County was battling malaria, cholera, and typhoid fever. The county’s first physician, Dr. Lincoln Goodale, advocated for open spaces to improve public health. 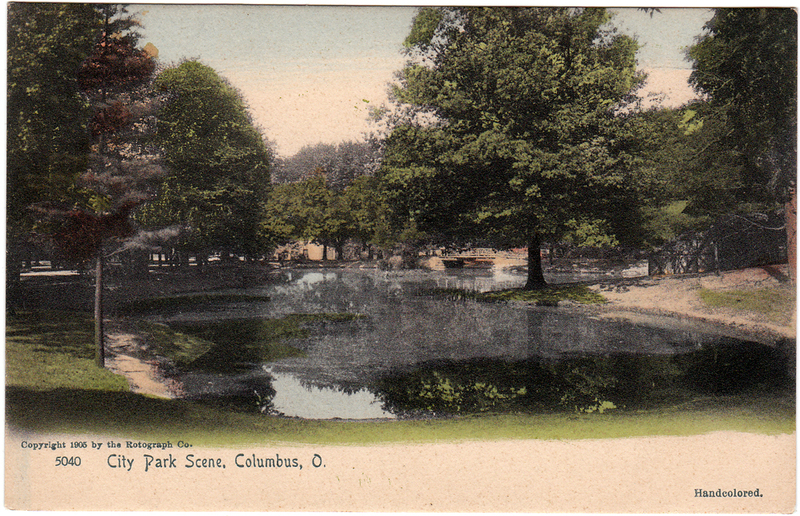 In 1851, Goodale donated 44 acres to the city of Columbus to create Goodale Park. It was one of the first parks of its kind in the country. Meanwhile on the South Side, Stewarts Grove had become a popular gathering place for the surrounding community. Owner Francis Stewart inherited the land from his father, John Stewart. Landscape architect R.T. Brooks designed the park, which featured a menagerie in the 1870s. Zoos were popular in public parks at the time, but Columbus’ animal aspirations didn’t go as planned. Buffalo, eagles, swans, bears, antelope, alligators, foxes and wolves were housed in wooden structures that were easy to break out of. 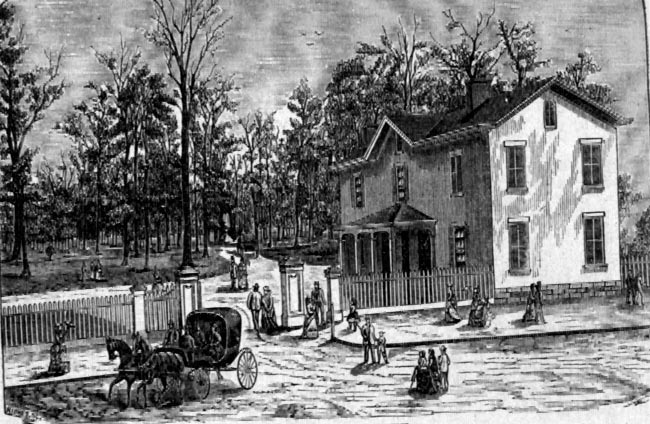 In 1881, the city closed the zoo. 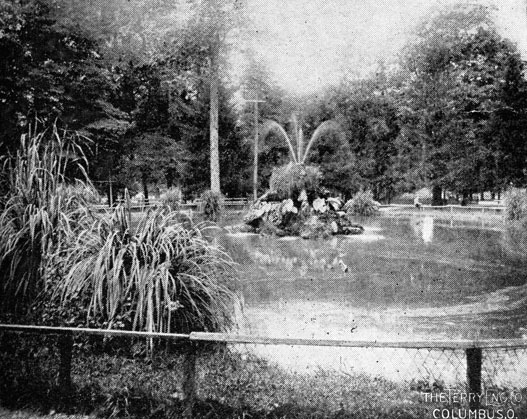 The park in 1905. Copyright: The Rotograph Co. In the late 1800s, neighborhood residents raised funds to erect a statue, stretching nearly 11 feet high, of German poet Johann Christoph Friedrich von Schiller. The Ferdinand von Miller Foundry in Munich, Germany, cast the statue, which was dedicated on July 4, 1891. 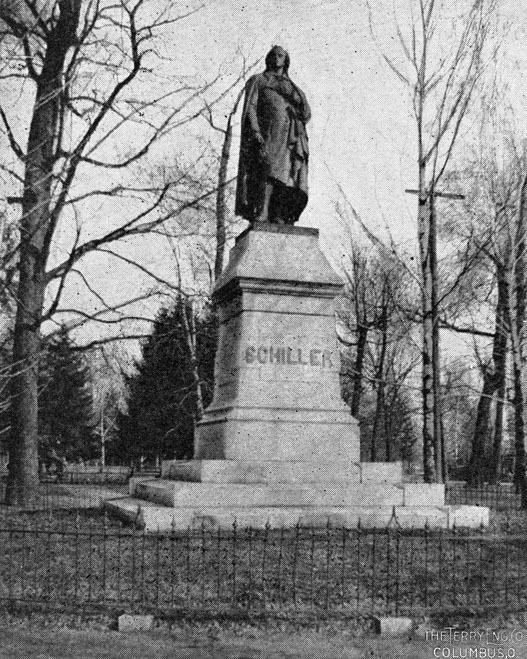 Then in 1905, on the 100th anniversary of Schiller’s death, Columbus City Council changed the park’s name to Schiller Park. But by 1918, while America was at war with Germany, city council passed ordinances to rename German street names, and Schiller Park became Washington Park. That lasted until 1930, when the park once again became Schiller Park. The park later experienced a period of decline. “In the ’50s and ’60s, the focus of development was certainly in suburban communities, and Schiller Park was neglected and was pretty shabby,” Moore says. From there, the group, which became the first “friends” organization for the park, expanded its mission to revitalize the entire park. 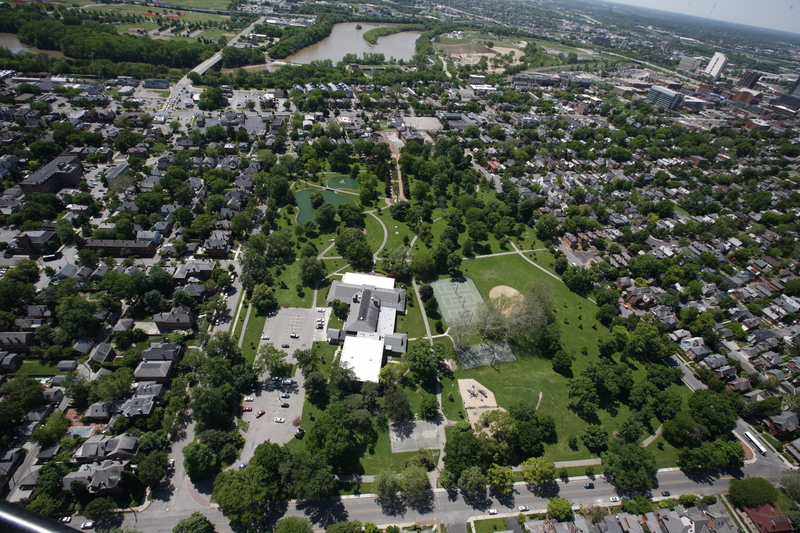 The park received another makeover toward the end of the 20th century, when Richard Trott and Partners Inc. created a masterplan for park enhancements in 1988. Friends of Schiller Park joined the German Village Society in 1991, and together they raised $500,000 for the enhancements, which included building an amphitheater, adding pedestrian lighting, restoring a historic carriage path that snakes through the park and installing a fountain and gardens. Together, the city of Columbus, the German Village Society and Friends of Schiller Park care for and preserve Schiller Park today. Moore says they have plans in the works for a birthday present for the park—a new fountain for the pond, which they hope to install before the Haus und Garten Tour on Sunday, June 25. Next time on Columbus Neighborhoods, we’ll take a look at different local hangouts in Central Ohio, past and present. Learn the history of a beloved soda fountain, a flower competition, high school fraternities and sororities and more. Watch at 8:30 p.m. Thursday, April 20 on WOSU TV. This entry was posted	on Thursday, April 20th, 2017 at 6:40 pm	and is filed under Blog, Story. You can follow any responses to this entry through the RSS 2.0 feed. Both comments and pings are currently closed.